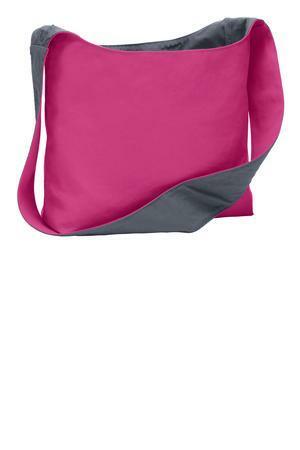 A great alternative to a market tote, everyday handbag or campus tote, this reversible sling bag has a large single strap so it's easy to wear over the shoulder or across the body. Eye-catching contrast lining adds a pop of color. Note: Due to special finishing process, color and distress may vary. Bags not intended for use by children 12 and under. Includes a California Prop 65 and social responsibility hangtag.